First, four forms based on the Paraboloid from the Basic Shapes menu: the first is the regular shape; the second has a reduced Step count; the third has the second as a hole in the first; and the last one is a Control-D modification with a translation and a rotation. 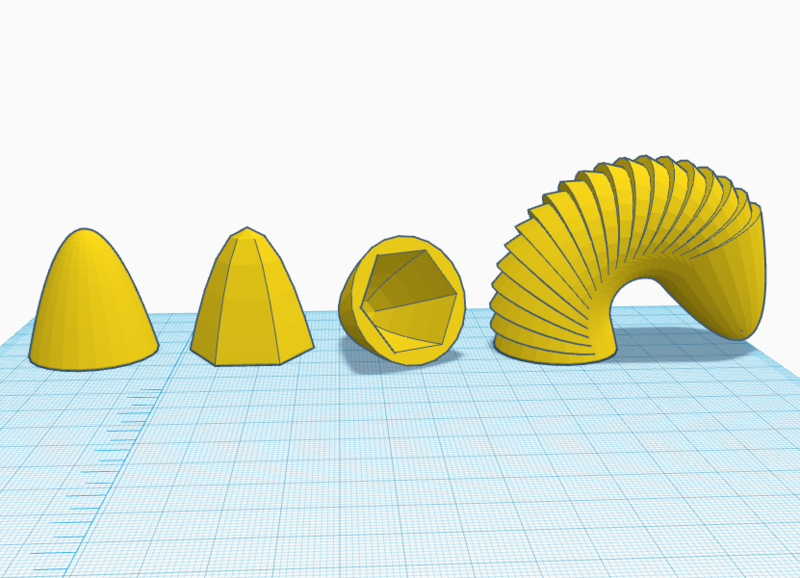 For some of your forms you should try some simple designs based on a SVG import of a 2D image (see the Design Tutorials page for more info), or an STL import of something from Thingiverse. Here are four things like that, two of which also used different Workplanes to get slanted things aligned exactly. This assignment is due before the start of our next class (Tuesday 9/12 or Thurdsay 9/14, depending on which section you are in). 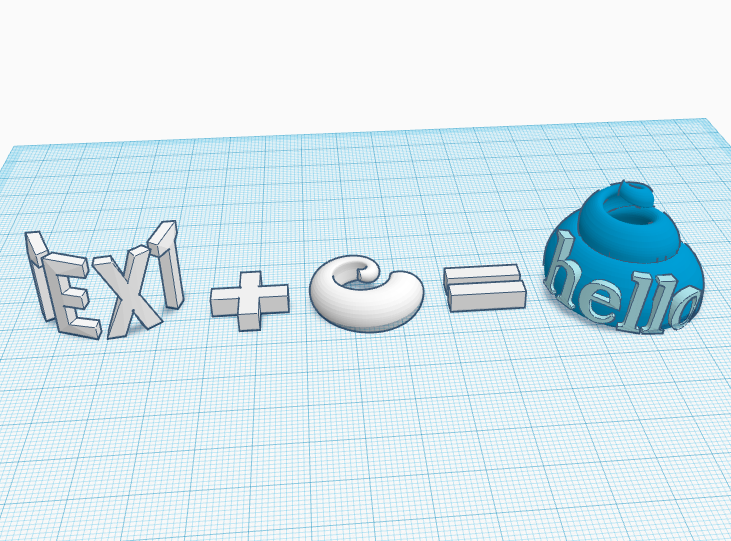 Try out as many Tinkercad tools as possible (Align, Group, Hole, Workplane, Ruler, Shape Scripts, Control-D, SVG import, etc). Take screenshots to document your fifty forms, and briefly describe in your post how you made the forms. Include many forms in one screenshot to keep this documentation reasonable. 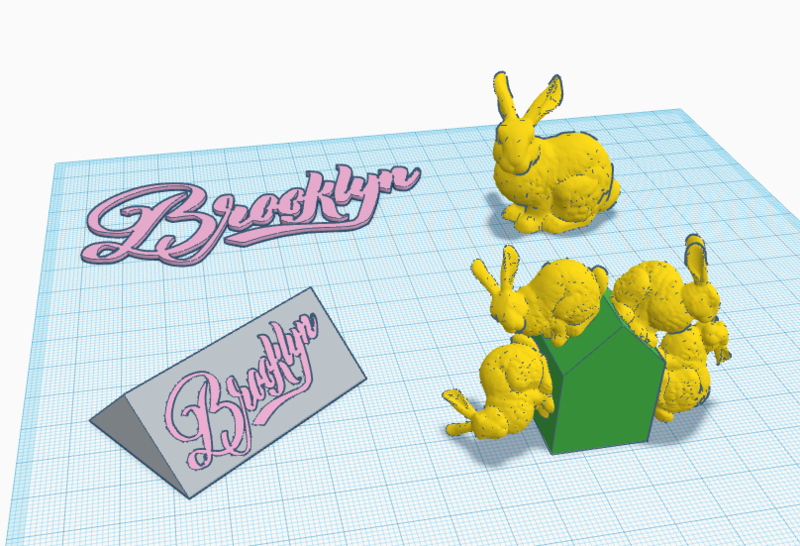 For inspiration and to learn new tools, you could work through some of the Thingiverse Lessons or go through some of the Tinkercad tutorials on the Design Tutorials page. Pro tip: To take a screenshot of part of your screen on a Mac, press Command-Shift-4 and then drag a window around what you want to capture. To take a partial screenshot on a Windows computer, use the Snipping tool (you can search for this tool in the Start menu). Don’t forget to choose the Category “Fifty Forms” for your blog post!